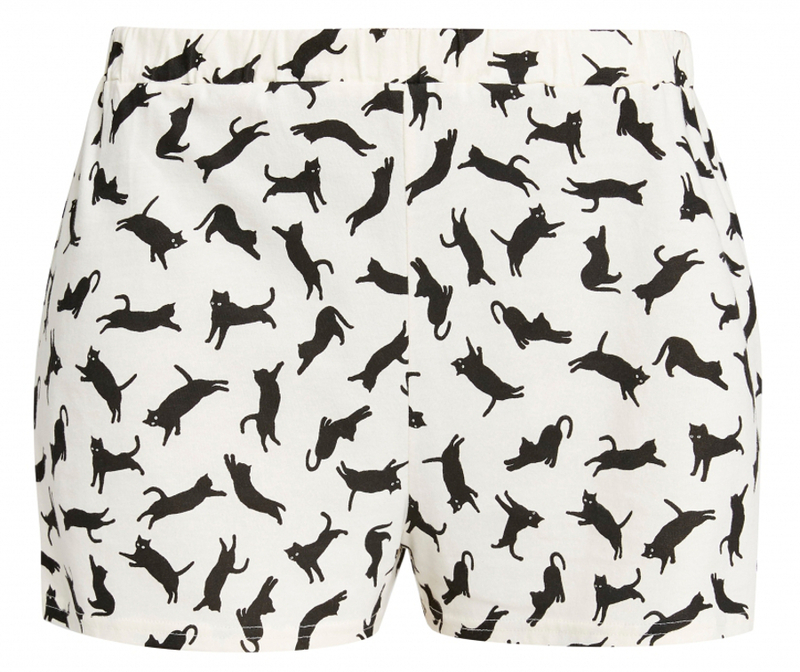 Fair trade pyjama shorts in an all over cat print, made using soft organic cotton for a comfy night’s sleep. Match these sustainably sourced pyjama shorts with the cat print short sleeve tee, or mix it up with a stripe pattern. With an elasticated waist for a perfect fit, these shorts are great for lounging and sleeping. Suitable for vegans. The Cat Print Pyjama Shorts have been made for People Tree by Assisi Garments, a producer based in South India which specialises in producing handmade organic and Fairtrade cotton jersey pieces. The organisation was first set up by Franciscan nuns to provide training and employment for deaf, mute and economically disadvantaged women. Assisi garments currently invests in the community by supporting various social projects including a cancer hospital and AIDS rehabilitation centre in South India. Organic cotton is grown without the use of pesticides, insecticides and nitrogen fertilisers, reducing farmers costs by 38% and protecting them from being exposed to toxic chemicals. Organic farmers allows soils to remain healthy and water consumption is reduced up to 91% while CO2 is reduced 40% per tonne of cotton fibre. Size 12 waist measures approx. 36cm. 100% GOTS certified organic cotton grown in India. Made by fair trade producers in India. Waist (in) 25" 27" 29" 31" 33" 35"
Hips (in) 35" 37" 39" 41" 43" 45"
Chest (in) 33-35" 36-38" 38-40" 40-42" 42-44"
Waist (in) 30" 32" 34" 36" 38"
Inside Leg (in) 32" 32" 32" 32" 32"
Wash on low spin with mild detergent. Wash with similar colours. Do not soak. Reshape while damp. Flat drying in the shade. Iron inside out on medium heat. The People Tree Organic Cat Print Pyjama Shorts product ethics are indicated below. To learn more about these product ethics and to see related products, follow the links below. 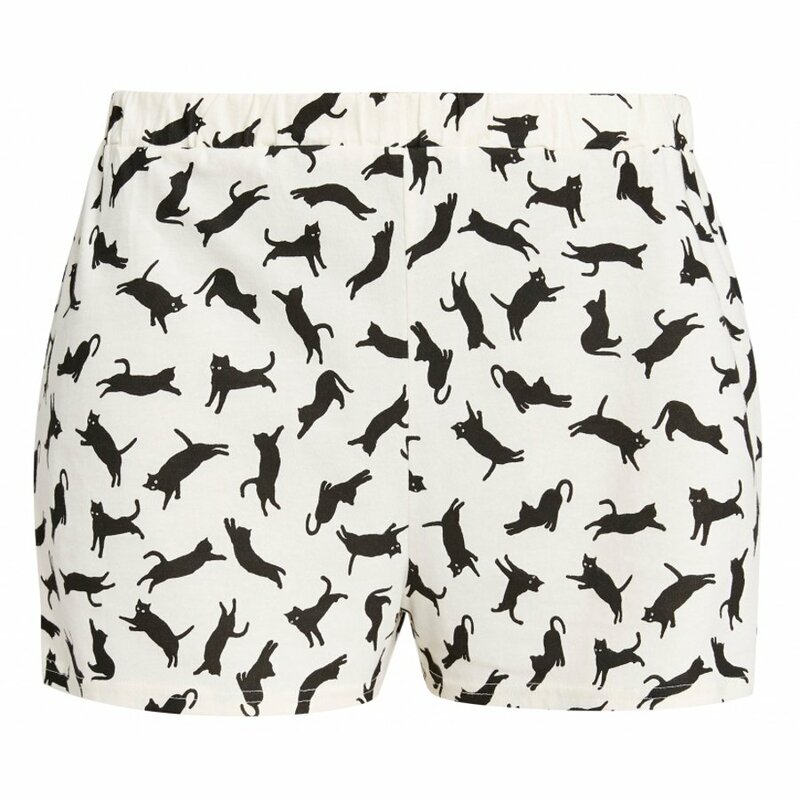 There are currently no questions to display about People Tree Organic Cat Print Pyjama Shorts.